Limited Time FanDuel Bonus Offer! The FanDuel Sportsbook launched in New Jersey on Sept. 1, 2018. It’s available on apps for both Android and iOS devices (Apple) and also as a Web-based platform. 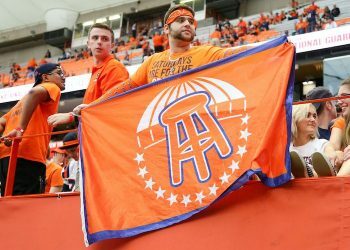 It’s legal and licensed, operating through its licensure relationship with Meadowlands Racetrack (near MetLife Stadium), where it manages retail operations at the Victory Sports Bar. After spending a lot of time using the mobile app and web platform, Sports Handle submits that the product is pretty darn good, according to our criteria explained in greater detail below. Overall, we grade the sportsbook an A-. Meaning very good, with room for improvements and alterations. You can follow the online FD Sportsbook on Twitter at @FDSportsbook. 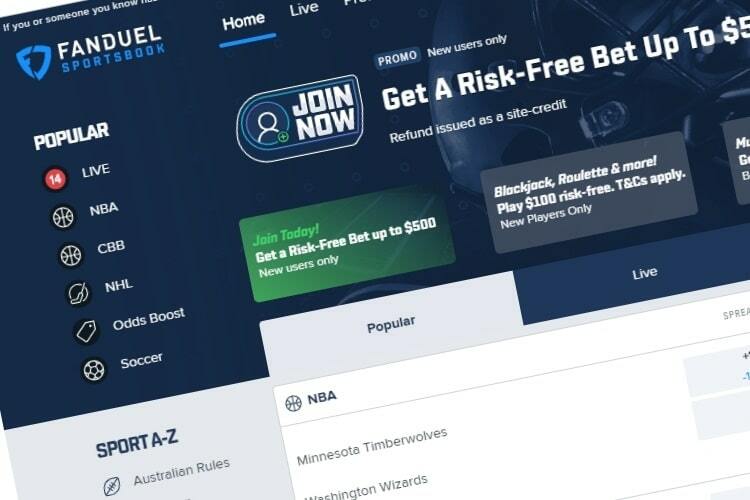 The FanDuel online sportsbook offers a generous welcome bonus for new customers: up to a $500 risk-free bet on your first wager. How does that work? Suppose you deposit $200. If you then make your first bet for $200, if you win, great. But if your bet doesn’t win, you’ll get the amount of your wager — up to $500 — in bonus credits (also known as site credit). It’s not exactly a refund, rather, you get the money to put back into play and hopefully the next time you win. The promotion applies for first bets up to $500. You can make this initial bet on any type of wager or sport — a baseball moneyline bet, football prop bet, it doesn’t matter. You can bet it on a team favored by a lot or it can be a big underdog. All depends on your risk tolerance and goals for how you want to use this initial welcome offer. To underscore the point: If your bet does not win, what you get is site credit. You cannot withdraw the credited amount, however, any winnings from the bonus bet can be cashed out immediately. Meaning if you lose your $200 initial bet, get $200 in credit, then win $180 off those credits, you’ll have $180 in your withdrawable bankroll. Overall, it’s a very generous welcome offer and other NJ online sportsbooks have copycatted it as a result. That’s a good thing for the sports bettors. For starters, you must be located in New Jersey to use any version of the sportsbook. The state requires that FanDuel (and other sportsbooks) use geo-tracking technology to make sure players are in the state. Overall it’s an appealing and impressive book, especially considering it was essentially started from scratch before the Irish bookmaker Paddy Power Betfair acquired the company, forming the FanDuel Group, and began lending its experience. The platform is smooth, intuitive and fast on both the app and on the web. It has a sophisticated, contemporary and professional design. The rotating banner ads are useful and relevant and don’t feel spammy or intrusive. Also one banner flags the “Betting FAQ” for informational accessible to novice or recreational sports bettors. Availability: The app is available on both Android and iOS systems. Speed: It’s very fast and doesn’t delay when toggling between fields (best to use on WiFi versus data). Stability or overall performance: No complaints – this one delivers the goods without hiccups. However, during the NFL Divisional Round during the 2019 playoffs, FanDuel’s entire platform did go down a half hour before the Chiefs-Patriots game and likewise before an NFC contest one week earlier. Bad timing, to put it mildly. But during repeated usage on an Android system, the software rarely froze or crashed during our usage and we found the app maintained its level of performance consistently. Appearance: As you can see from the screencaps, the aesthetic is nice and clean with a white background, making the text easy to read. It’s not cluttered and the screen doesn’t waste space, while keeping the most important information front and center and within the frame of your phone’s screen, so you don’t have to scroll back and forth. View/layout: We also like that the spreads, totals and moneyline prices are available in the same view, unlike some other books that require toggling to view one or the other. College football is conveniently grouped with NFL, likewise the NBA and NCAA hoops. Everything flows pretty intuitively but if you do get lost, there’s the “AZ” button on the bottom, which will pop out a menu to get you back to the sport you want or the homepage. Responsiveness: The buttons are responsive to the touch but not overly so. Bet slip/building: Pick a wager and the betting slip will pop up. You can minimize the slip by hitting the “X” in the top right corner. If you want to add multiple bets, hit “X” in the top right to go back to the previous menu or to another menu to add bets. You can just keep adding to your slip to make straight wagers, or combine for parlays or teasers (or round robins). Hit the trash can symbol to remove any wager. As with any frame, if you enter in your wager amount, the bet field will generate the potential win amount based on the odds and update the potential payout (or cost for the desired payout) if you manipulate the dollar amount. Overall, it’s stable and as stated more than once, the app is totally intuitive, clean, fast and doesn’t leave us wanting very much. The web platform matches the design and overall feel of the mobile app, which makes things consistent and convenient. What’s different? You have more room to operate and observe, obviously, so your betting slip (and active and settled wagers) are offset to the right while you navigate the rest of what’s happening. At this point, a majority of people probably use mobile apps, which limits to some extent the amount you can see on screen. With the web platform, we like the more robust display of information so you can see more while trying to process a lot of information. It’s very easy to click around without any lag or glitches. Nice, clean and information-rich without overwhelming bells-and-whistle clutter. As for betting options, FanDuel offers all the standard straight wagers plus a ton of player and game props, futures, bets where you can bet on fantasy points, and combination bets, such as a certain running back to rush for 67.5 yards or more and his team to win. You like soccer? Get some “correct score” props, such as Manchester United 1-0 over West Ham for +700. That’s just the tip of the iceberg. There are loads of props and futures for all most popular sports including tennis, soccer, hockey, MMA, boxing, auto racing, basketball, baseball and more. Sports offered include all of those and golf, motor racing, rugby, all the soccer leagues — Spain, Major League Soccer, English Premier League, pretty much every European country and so forth. As for pricing, it’s industry standard 20 cents (-110 both ways) for basketball and football spreads, with competitive run line and puck line pricing for baseball and hockey, respectively. Some NJ sportsbooks have offered “reduced juice” -105 lines while others have consistently offered inferior pricing, often 25 or 30 cents on spread bets for major sports. FanDuel is also near the top of the pack for moneyline pricing. Following extensive usage, we have observed equal or better prices on moneylines at FanDuel compared with some of the competition. In some cases we’ve even observed better pricing on the same game for both the underdog and favorite (such as +135/-160 versus +125/-165), meaning whichever side you’re betting, you’re better off placing the wager on FanDuel. This is not always the case; the overall point is that the pricing on FanDuel is top-tier for the market. And before we leave that, it’s especially true for in-game wagering where the vig across the market is often a little bit higher. 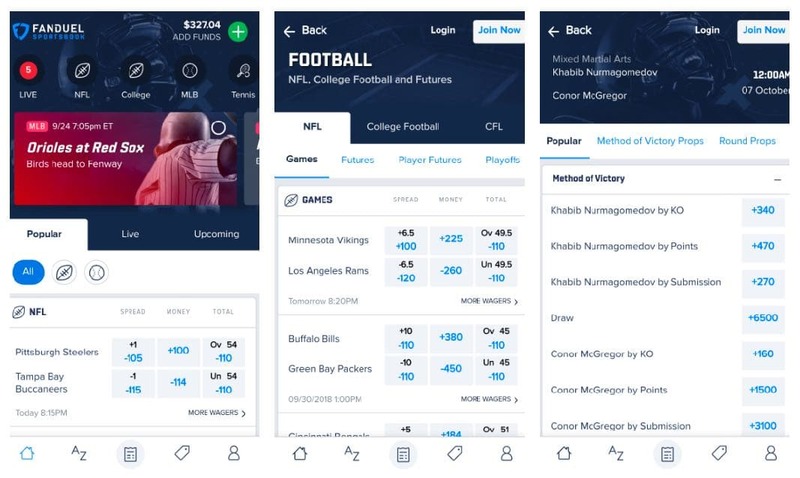 But we typically have seen FanDuel stay at around 20 or 25-cent lines on live wagering, while some competitors may go as high as 30 or 40-cents on spread bets, with correspondingly less appealing prices on moneylines as compared with FanDuel. Like most other NJ online sportsbooks, FanDuel offers the “cash out” feature. It’s not always available but when it is, basically you’ll have the option to accept an offer to buy out your wager before the event/game/prop is decided. The offers are a function of the probability of your bet winning or losing, and as you should expect, you’ll get offered less than the true probability. Some recreational players may want to pocket the profit, while EV+ bettors probably will let it ride. That said, if you have a sense that the bet is not going to go your way, you may want to grab the profit and move on. Also like others in the market, FanDuel regularly offers “Odds Boosts,” typically on prop bets, such as a player to hit a home run in a game, or a team to cover to the spread and the total cover, also on futures like a golfer to win a certain tournament. These offers rotate from day to day. For parlays, every payout is the same as what you’ll find outside the U.S. except for popular 3-way parlays, which pay at +595. that’s compared with +600 or 6/1. Small difference — but not for the book, which will add up over time. For teasers, you can make 6, 6.5 and 7-point teasers for football. Payouts on teasers are industry standard compared to Nevada sportsbooks. For example, a 3-leg, 6-point football teaser will pay +160. But elsewhere, some NJ sportsbooks are eschewing a fixed pricing model for teasers and generating prices based on the individual prices. And our research indicates in almost all cases this results in a better price at other sportsbooks. That said, sportsbooks usually come out ahead (or way ahead) on parlays and teasers, so perhaps it’s not a great idea to go chasing them. If you’re looking for a number different from what’s posted, FanDuel offers a lot of alternative lines with the corresponding pricing. So if the spread is +5.5 (-110) you can get a price for -3.5 or +7.5 and so forth. But you can’t “buy” a point in the old school sense — to go from +2.5 to +3 in a football game for example. You can only choose from what’s posted and priced out. With playMGM’s app, you can buy at least half a point in most contests. We’d like to see that functionality at FanDuel. Notice at the bottom of the line slip you can turn on “review line changes.” This gives you the option — if a line or price changes while you’re considering the wager — to accept or reject it. As opposed to the new number getting processed, which happens at some books. Accessible on both the app and web are the options for: Betting Guide, Terms and Conditions, House Rules, Responsible Gaming, and Support. As for betting limits, we don’t quite have the funds to test the upper limits for how much you can get down. Contact them to find out about that. You can also chat with a real person 24/7. As you may be aware, in September 2018 a man at the Meadowlands took advantage of a pricing glitch, betting $110 at 750-1 odds to win $82,000 when the actual price should have been -600. After a review and a lot of blowback, the company decided to honor the bet when, if you do read those house rules, they could have justifiably declined to do so based on a “palpable error.” So – read those terms and conditions at any/every sportsbook where you play, folks. As indicated in the discussion of the app and web platform above, we really enjoy both versions. The adjectives that fit best are: smooth, clean, intuitive, accessible and fast. And a lack of cutter and plenty of clarity. Tracking your bets in progress? If you’ve got a multi-legged teaser or parlay in the works, under ‘Active Wagers’ (or open bets) in the bet slip field, a winning leg will get shaded light blue. It’s a nice tracking device. If that leg flops, you’ll see a strikethrough under settled wagers. But one big complaint regarding bet history: Right now if you go to the “Account” button on the app on the bottom pane, or the “person” button/symbol next to your balance on the web version, you’ll find Account History and there’s a small line that says “Click here to see your detailed bet history.” From there, the “Sportsbook Wagers” tab under account history shows you the bet slip numbers — but doesn’t display the actual bet. The “Account Summary” is a holistic profit/losses display. The only way to look through all your the wagers is through “Settled” bets, by adjusting the calendar to a defined period, and then sifting through. It’s not a great or convenient field for that purpose. Also while navigating “bet history” under the icon shaped like a Lego person, it’s easy to get signed out, which is annoying. It should be easy to access a detailed “bet history” and to sort by date frames to include profits/loss and wins/losses over any given span. Serious bettors will (and do) need to keep spreadsheets to track their performances. Here they will certainly have to. Many of the operators located outside of the U.S. offer the ability to easily navigate past wagers; the pages displaying history and performances are among the highest-viewed pages a sportsbook sees. People want to know — rather than just blindly moving the bankroll. We hope that FanDuel will look into improving this and making past wagers (much more easily) accessible. But back to the positives, FanDuel Sportsbook is regarded as a “sports bettor’s sportsbook.” It accepts and invites “sharp” action and recreational players alike. When you put in a bet, unlike at some other sportsbooks, in our experience (with mostly lower-limit wagers), it will not slow down a wager and submit it for “processing” where it might be accepted or rejected. Typically bet it and you’re done. As for customer service, we’ve used the chat function to ask a question on multiple occasions, spoken to a real person, and received effective assistance. You can access the chat under “Help” on the app and “Support” on the web side. You can also e-mail for support at sportsbook@fanduel.com and get a response. They offer e-mail support 24/7. Furthermore, you can call them – not available at most other sportsbooks – at 877-689-0662, also 24/7. Here are the methods you can use – as seen below. The same deposit/withdrawal methods are available on mobile and the web platform. We recommend using PayPal or ACH/checking. Some banks will reject payment processing with credit cards. Not all NJ online sportsbooks are allowing PayPal deposits. We deposited with PayPal and withdrew funds with PayPal, which hit the account in under 48 hours. The process was smooth. We’ve also used ACH to fund and withdraw, and likewise, the process was seamless. 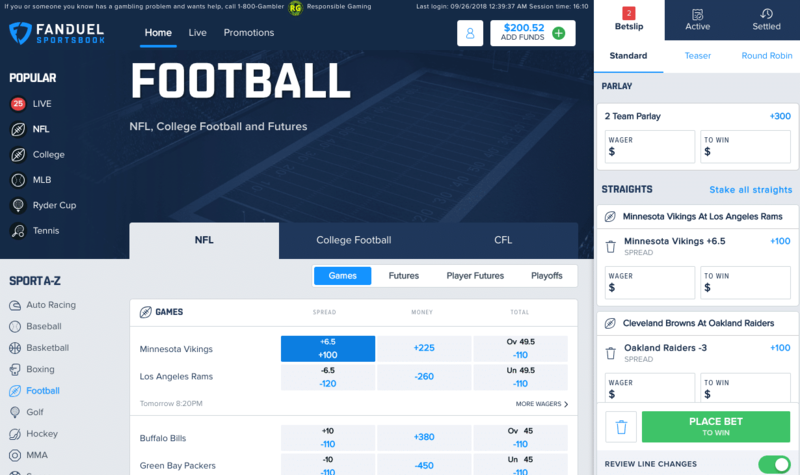 What’s next for FanDuel Sportsbook? The FanDuel online sportsbook is currently operational in New Jersey. Soon it will be available in Pennsylvania, through its partnership with Valley Forge, where there’s already a brick-and-mortar FanDuel Sportsbook. Likewise, there’s a brick-and-mortar FD Sportsbook at The Greenbrier Resort in West Virginia. Eventually, it will be available in New York, through a partnership with the Nichols, New York-based Tioga Downs. And probably most major markets as the expansion of legal U.S. sports betting continues. You’ll see FanDuel Sportsbook live or making a run in numerous other states in the next year or two. 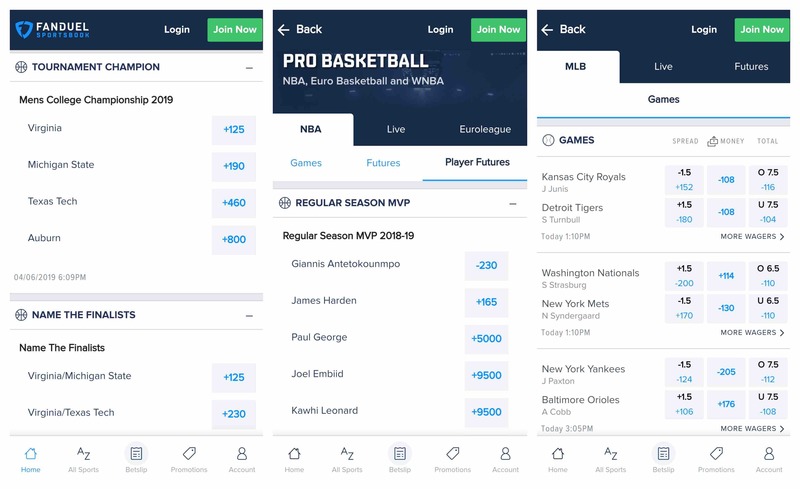 FanDuel Sportsbook is currently operational in New Jersey and overall based on all the criteria, is Sports Handle's top-rated sportsbook on desktop and mobile devices. We expect the FD Sportsbook to be operational soon in both West Virginia and Pennsylvania.